If Yamamoto feels she has to make up for lost time working as an improvising pianist she's going the right way about it. 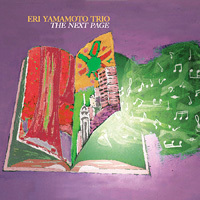 This is her second Aum Fidelity release in 2008 and here her working trio gets the chance to set out its stall. The group grasps the opportunity with both hands and clutches it to its collective breast. Yamamoto and her cohorts seem to instinctively know the value of understatement. There isn't a surplus note here and that fact makes for a compelling program of music. 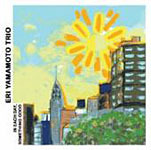 "Wonder Land" emphasizes the point, with Yamamoto's dexterity riding high and loose over the odd syncopation with bassist David Ambrosio staking out a greater role as the piece progresses. The pulse here is something all three players feel free to take liberties with and the effect enhances the music. 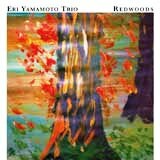 Inspired by the sight of the well-known redwood trees in Muir Woods outside San Franscisco, the title is understandably infused with quiet awe. The music's taken beyond the point where it can breathe to maximum potential but the effect isn't detrimental to impact. 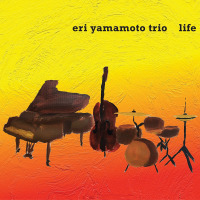 Calling to mind the partnership within a trio that Bill Evans once had with bassist Scott LaFaro, Yamamoto and Ambrosio engage in constructive dialogue though not to the point at which drummer Ikuo Takeuchi is excluded. His grasp of dynamics is acute and it's all over this piece, shading where shading is necessary, brushing at points where the smallest filigrees of sound have maximum impact. By contrast, "Bottled Water Princess" is an animated affair from the off. Takeuchi stokes the fire from the opening bars and the trio is integrated to just the right degree in the sense that they seem to know intuitively, how to stay on the right side of sterile. Again Yamamoto proves how adept she is at saying the most with the least number of notes and the individual character of the piece ensures the performance is a whole lot more than an exercise in prodigious technique. In the opening of "Story Teller," Ambrosio evokes the spirit of Gary Peacock, particularly on the numerous occasions in the past when he's kept Paul Bley's company. The piece also has some of Carla Bley's slightly enigmatic lyricism about it and all three members of the trio think as one in its realization. Ambrosio's solo is a limpid affair, as if he's reached a highly personal accommodation with silence. The best tribute of all however, is the fact that this is piano trio music for people for whom that line-up usually means insufficient dynamic variation. 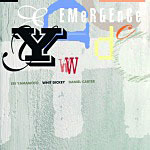 Whilst this group works a quiet, perhaps unassuming musical seam, it does it with a sufficient grasp of variation and color to hold the attention and draw the listener in at the expense of the cares of the world. Since when has that been a bad thing?